According to Group M, the media investment arm of WPP, the global digital ad spend will grow by 4.3% in 2018 with Google and Facebook taking leads in digital advertising. I can very well say that next year will also be for marketers. As 2017 nears its closure, marketers are busy gearing up for the next year. 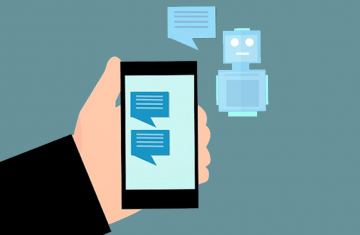 Marketing automation and AI has already made headlines throughout 2017; we can only expect that customer experience will most certainly be the driving force for all marketing automation tools. Marketers will focus more on enriching the customer experience. It is that time of the year when ‘resolutions’ are in the air. Be it personal or professional; people are making resolutions for the new year. As a matter-of-fact, marketers are leaving no stones unturned to swear for more advanced marketing. On my part, I want to explore and learn more about implementing dynamic content and social media monitoring. Recently I had a chance to interact with few fellow marketers. Like me, all of them had plans to try something new in the marketing domain or focus more on one aspect of marketing. Surprisingly, I managed to categorize their resolutions in fifteen separate segments. Or, should I say, these are the fifteen marketing areas that marketers want to focus in the next year. Some want to learn from scratch, some will start implementing, and others want to improve. I’m sure you will relate to one or two of these as well. Let’s begin. As I said, I managed to categorize all the resolutions in fifteen categories. I promised I would not publish their personal opinions (because we did have a hearty laugh at times) but presenting 15 things marketers will most definitely implement in their marketing strategies next year. Our resolution-battle kicked off with Account-based Marketing. If you have read that article of AI into Account-based marketing on DMN News, then you are probably nodding in agreement already. Account-based marketing is a very specifically designed form of marketing where marketers deal with high-valued corporate customers (B2B space). We found the idea of AI bots doing ABM quite fascinating, especially when a majority of us wanted to deal with ABM more strategically. I have written about ABM previously- the concept and implementation. And like me, most marketers will focus on improving their ABM strategies. Account-based marketing gives results, and we all know that. When we implement inbound marketing practices, we get three categories of leads – the corporate leads (which is very less), the mid-sized businesses (filling up somewhat 20-30% of leads generated) and lastly, the SMBs which form the majority chunk. While marketing automation campaigns successfully show results for the last two categories, the corporates require more informed and to-the-point approach. They require a leader-to-leader conversation because in an enterprise there are multiple decision-makers. A cumulative, as well as individual monitoring, becomes the key here. And that’s where marketers will focus more. At this level, it is not about drip email campaigns anymore. It is about directly addressing the pain points and showing straightforward how you can help. As I said, it is more like a leader to leader conversation where the CEOs and VPs come into the discussion. Next in line is understanding our competitors better. Without competitor monitoring, marketing strategies stand void. Trust me when I say this, we are looking forward to breaking down every single move of our competitors – on the web, social media platforms, mobile, off-line, and any other possible medium. The next year will be about digging up numbers and resources that will help us overtake our competitors better. We know they will be doing the same, but what’s marketing without some counter-attacks. Many of us might have missed out on one thing or the other while measuring our competitors’ strategies. Our new year’s resolution will most specifically deal with those missed opportunities, and at the same time improving our monitoring skills. Starting with keywords to social media strategies, PR to guest blogs, webinars to events- we will monitor everything under the sky! (PS: I have also started following the UI/UX elements of our competitors). Industry trends are changing so fast, forcing marketers to rethink content management. When New York Times announced the adoption of React, Relay, and GraphQL for Scoop (a CMS that NY Times spent dollars on), we knew content syndication and targeting is going to be tougher in the coming days. Today, a majority of content pulls revenue from social media sharing. Video content is becoming popular faster than we can think off, and mobile marketing has already revolutionized content templates and page design layouts. Like other 75 million people, I am also a WordPress user. I find this CMS the most adept at the evolving marketing changes and needs. However, the need for a personalized content and the different channels to make content available is increasing. Consumers are already well-informed, thanks to the web. We need to rethink how best we can use our CMS to edit, publish, engage, and pull in revenue. Our focus will be more on the scalability of the CMS we are using, features and plugins it provides, and potential to drive in long-term revenue growth. We couldn’t agree more. The need to personalize the customer experience and showcase relevant content is making way for dynamic content- a content that will align itself according to the consumer behaviour, demographics, and other such factors. While Bryers hint at social media, overall marketers are preparing to use dynamic content big time in push notification campaigns, landing pages, and mobile notifications as well. So, experimenting with dynamic content and implementing it throughout our marketing strategies is definitely on next year’s resolution list. The first debate we engaged in was- email campaign management is way different from email marketing. It was a surprising revelation, but many marketers do confuse these two to be the same. IT IS NOT. You can quickly go over this Quora discussion thread to understand the difference (if you are confused too. Else we are good). Emails will continue to be our best mate. However, we will focus more on email campaign management. Like me, most marketers will focus on lead generation and brand visibility. While driving sales will be important as always, the next year will be more about creating a brand awareness. Like I said in the beginning, customers will continue to be at the center of all B2B marketing strategies. In fact, marketing will evolve more to enhance customer experience. You can say, marketers’ inclination towards email campaign management is a sign that customers will continue to be our priority. All marketing activities do not lead to sales directly. Some activities, like email campaign management, are long-term nurturing processes – where we build relationships to retain our customers. I will be honest here. I love landing pages. 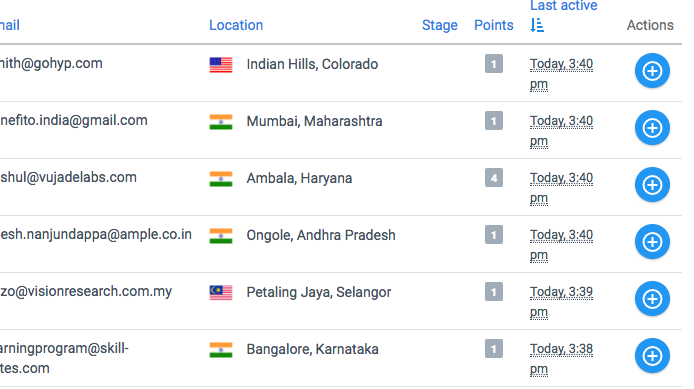 Thus, when Unbounce, a landing page company, announced AI-powered landing page analyzer, it triggered enough interest in me. Simultaneously, this news comes as a pointer that landing pages will become smarter than ever. Imagine a tool that lets you know that your basics of landing page optimization and accessibility are in place? Well, the AI-driven landing page analyzer launched by Unbounce is going to do that. Landing pages are like a gateway to your website or a product page. You engage and capture lead information. It is a quick attempt to connect with your prospective leads. Earlier, I have talked about using landing pages to create conversions. With the recent developments across the web, we are already heading towards more minute marketing. Summing it up, I guess we already know where we are heading. This news is just the start. I am sure the next year will have more improvements in how marketers are using landing pages. Okay, lead scoring WAS important, IS important, and will continue to remain so for the upcoming year. Predictive lead scoring has enabled marketers to identify the most potential leads, nurture them and follow-up with them before time runs out. It is a golden rule for all marketers- a missed lead is a missed business. 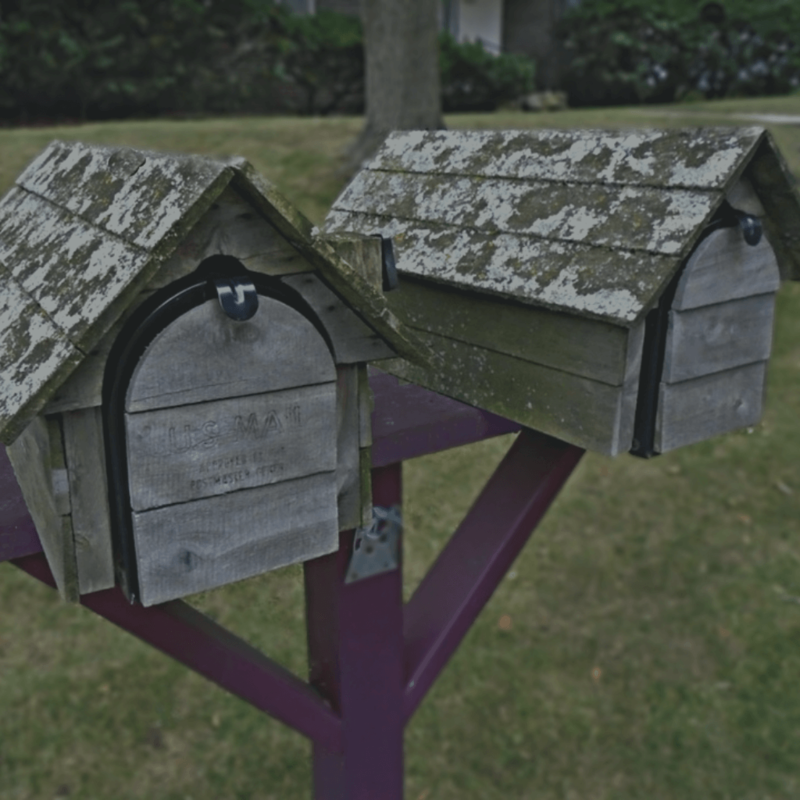 Traditional lead scoring was all about assigning scores based on some fixed qualifying factors like email address, company name, designation, etc. But that’s passè. Thanks to automation, we now rely on advanced algorithms that analyze all data points and predicts the most qualified lead for your business. Presently, the most common data points used include email engagement, social engagement, demographics, firmographics, web and app behaviour, and lastly, email domain. Putting these together helps in creating an effective lead management strategy as well. There is no way lead scoring is going off the resolution’s list. In fact, marketers are looking forward to implementing lead scoring. Recently, I had published how lead scoring is the key to better sales. I still stick to that. Lead scoring drives better sales engagement along with aligned marketing activities. Marketing analytics is another foray that will continue to rule in the next year. Without analytics, marketing strategies will fall flat. At Aritic PinPoint, we offer reports based on demographics, live feed for activities, and performance graphs. Imagine not having such details while improvising your marketing campaign! I shudder to think where that would take us. According to the latest reports, the global marketing analytics market is predicted to clock a 14.3% CAGR for the 2017-2022 forecast period. The estimated value of the market is predicted to reach US$4,108.2mn by 2022 end. And frankly, it will continue to grow. Because analytics is the base on which we form our strategies. Without numbers and data points, marketers will be lost. Marketers’ resolution for the new year: Understand analytics more minutely, learn how to decode numbers and data points, analyze competitors and their activities, and improve individual analytical mindset. (Yeah! You need to align your mind in a way that syncs with the numbers and data-points). List segmentation will obviously be an integral part of the next year. However, marketers will focus more on dynamic list segmentation in the next year. I am not saying that static list segmentation will be replaced, but segmentation will get more advanced. I have mentioned this already a few times now that next year will be about enhancing customer experience. If you see, till now, all the resolutions revolve around customer-experience only. And that’s how it will be. For better engagement and connection, it is necessary to bucket lists according to their preferences. Now, all of your leads will not engage in the similar way. Some will engage actively, some not at all, and some will have a moderate engagement. Then comes lead scoring. Let’s say you have 10 very active leads with a score more than 50. Out of these, two leads have equal scores of 45. So, these two leads will require similar engagement messages, right? WRONG. They may have equal lead scores, but their preferences and chances of engaging further will vary. This clearly means, we need segmentation that is not such based on fixed factors but also behaviour-based. In other words, dynamic segmentation. While Aritic PinPoint already offers dynamic list segmentation (as well as Static segmentation), automation is evolving each day. Customer behaviour patterns are changing, automation sensors are improving, and along with that segmentation will also get smarter and better. Marketers are ready for that. To put it simply, consumers are more concerned about their experience with a brand. By experience, I am talking about an uninterrupted experience. According to recent reports, in 2016 alone, 200 million daily active users opted for ad-blocking software. And this number is doubling up at an immense speed per quarter. And Netflix is one example here. Netflix has been streaming ad-free content for billion hours every week, and the consumption hour number is just growing. Consumers are loud and clear about the fact that they don’t want ads to interrupt their experience. They want a brand to care for their experience, engage them with meaningful content, make them loyal- in short, consumers want brands to make stories they want to hear. They want these stories across every single device. Mobile marketing will, thus, continue to be an important part of building a relationship with consumers. However, the way of marketing will change for the better. Marketers will connect with their customers via relevant push campaigns that are behaviour-driven, mobile emails, SMS marketing, and device responsive marketing assets. According to a research article on Forbes, mobile marketing will mature with location-data, making way for a mobile-only future. Integrated marketing is now defined as creating a unified experience for your consumers to connect, interact and engage with your brand. It encompasses mixed marketing tactics like emails, PRs, sales promotions, social media marketing, mobile marketing, et al. Together, all these provide a seamless and unparalleled customer experience. Integrated marketing also means maintaining a marketing message consistency across all channels at any given time. Marketers are already working on maintaining consistency across multiple marketing channels. Your content team, product team, and sales team- all of them have to be aligned and working together. Imagine this scenario: Your content team published their own programs, your brand team kicked off a different campaign that is not remotely close to what your content team published, and your sales team speaks about a different market proposition altogether. Enough to drive you nuts, isn’t it? I have spoken in lengths about marketing-sales alignment already. But for an integrated marketing to show results, integration has to happen across all teams. Your tech team, sales team, product and content team – all must have a single goal and work together towards it. Serving the entire customer lifecycle needs the intervention and contribution of each team. This is one of the major resolutions for marketers- to work in sync with every other team to build a unified customer experience. Marketers will implement progressive profiling to capture lead information smartly. Since the future will be more about First-person marketing where brands will reshape their marketing messages to ensure that they are meeting their consumers’ interests and goals. The first step to first-person marketing is to know your customers, and what better way than implementing progressive profiling. When you have your ideal customer directly giving out information, you can be sure of its authenticity. Marketers will focus more and more on asking questions that their target prospect wants to be asked. Instead of boring your prospects with irrelevant questions, progressive profiling will help you ask questions that align with their interests, needs, goals, and are not scary. You don’t ask for a lot of information to newcomers, but ask questions that address their pain points, what they are looking for, and what value they are expecting from you. The coming year will be about automating the profiling program. Marketers will send information request only when it makes sense to ask for it. That can be at any buyer’s stage. Automated progressive profiling is the immediate future. The future of marketing is about getting smarter because your consumers are already loaded with ample information. If you are not asking what they want to be asked, they are not going to waste their time in answering your boring questions. Simple. So, yes; progressive profiling is going to take up a lot of time in the next year. After all, marketers are focussing more and more on improving their relationship building practices with their consumers. I, for one, have sworn to work on my push notification campaigns. I worked on two drip push campaigns, and the results stunned me. Behaviour-based push campaigns gave us immediate results. At Aritic PinPoint, we offer multi-channel marketing approach, and push campaigns are one of them. I have already implemented dynamic content in my last drip push notification campaign. Sending marketing messages that are not interruptive helps in engaging users better. 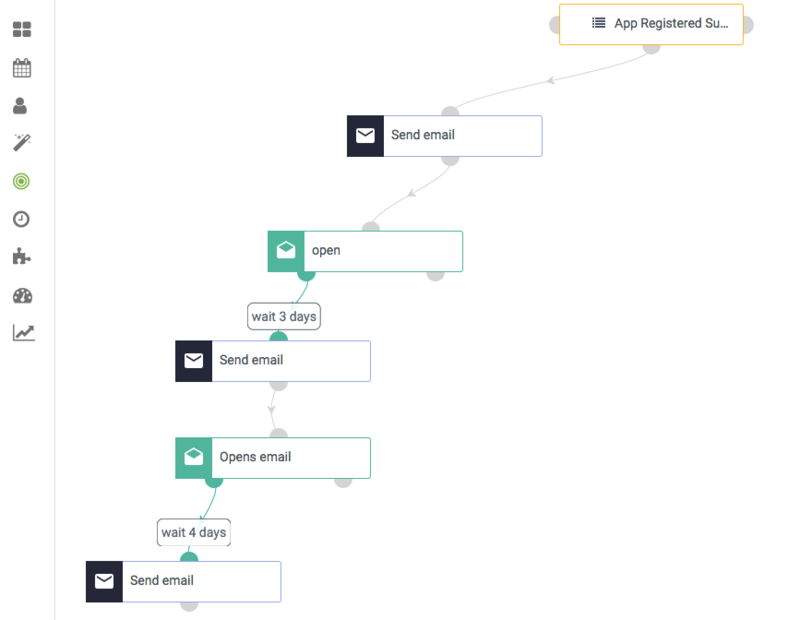 When you are sending messages that read like a continuation of the last activity your user did, it creates an instant connection. You can use tailored marketing offers in your campaign based on their engagement and browsing history. Push notifications, both on web and mobile, will become more prominent in the next year. Marketers will implement it to generate more engagement, and build a better brand-customer relationship. Every marketer wants to optimize their SEO and Keywords because this is the route to getting found in search engines. However, search engines are improving their search intents and algorithms at lightning speed. For instance, Google has already weeded out fake news from their search engines. Once Google believed that news would come from genuine sources, but the last US election campaign busted this belief like never before. It only takes a minute to understand, Google will become more and more stern with the quality of content. Ranking on Goole will become tougher, SEO will become more challenging, and Keyword monitoring will become mandatory. Marketers have already made up their minds to game-up their SEO strategies, minutely monitor keyword rankings (also monitor competitor keyword ranking and SEO activities), track SEO activities, and produce genuine contents that add value. Talking about customer-based marketing and not talking about social media marketing is so lame. Social media marketing is an independent form of marketing but still, it requires all other marketing efforts to show results. The next year will see marketers focussing on relationship building, brand positioning across social platforms, engaging with consumers one-to-one over chats, and keeping them engaged with various marketing messages like social media updates, video marketing across social media platforms, polls and contests, and offers. The opportunities of social platforms are endless; the new year will see marketers leveraging these opportunities to the fullest. After all, we all look for social validation these days. What’s your marketing plan for the new year? These are the 15 things majority of marketers will be working on. Did your resolutions align with ours? If not, tell me your new year’s resolution(s). Till then, login to Aritic PinPoint to keep experimenting with your marketing strategies. 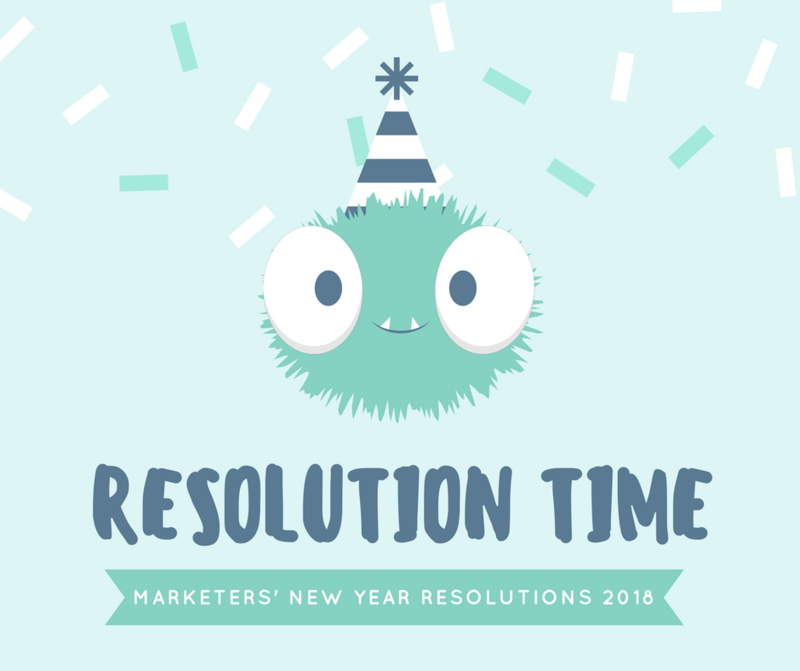 Thanks a lot, Ankit, for updating these new year resolutions for marketers. Great information, it’s a must-read for every marketer, so that they can feel motivated. Hi Ankit, you have written an excellent article. It will help marketers and small business owners. Thanks, a lot Ankit. It was a great post which gave updates about new marketing tactics of 2018 so that every marketer can keep themselves updated. Thanks a lot, Ankit! Well-written blog! Every marketer must have the same goals as you have mentioned in the blog. Thanks Ankit for updating us with new marketing tactics of 2018 so that we can keep ourselves updated. Every marketer should have the same goals as stated above. This sure is motivating. Can’t wait to see what future has in store for us. These are some amazing list of New Year Resolutions every Marketer should have. I am sure most of our Resolutions align with yours.